DURHAM, NC--(Marketwired - November 05, 2015) - Principled Technologies (PT) tested two new Dell Latitude 14 5000 Series (E5450) laptops powered by 5th generation Intel Core i5-5200U processors running Windows 7 and Windows 8.1 respectively. 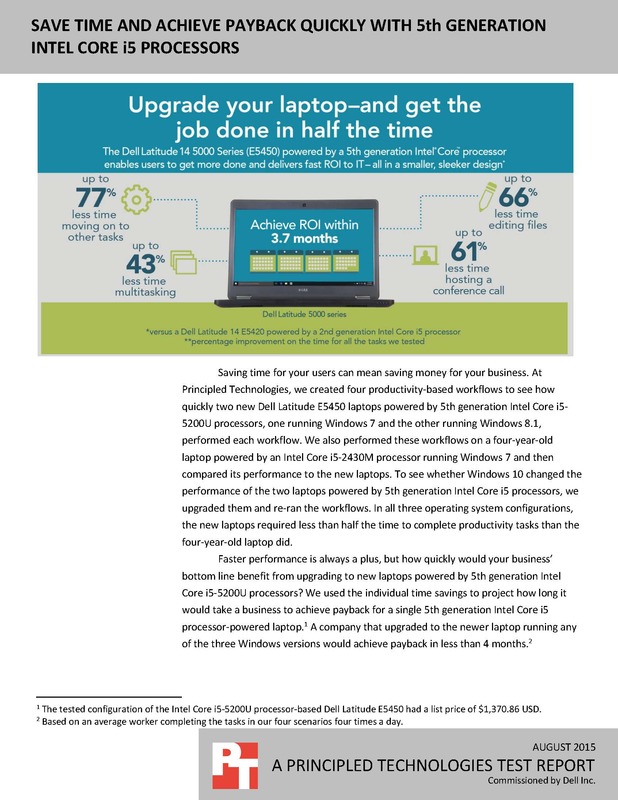 In four productivity-based workflows, PT assessed the laptops' performance compared to that of laptops with older generation Intel Core i5 processors, then retested the new laptops after upgrading them to Windows 10. 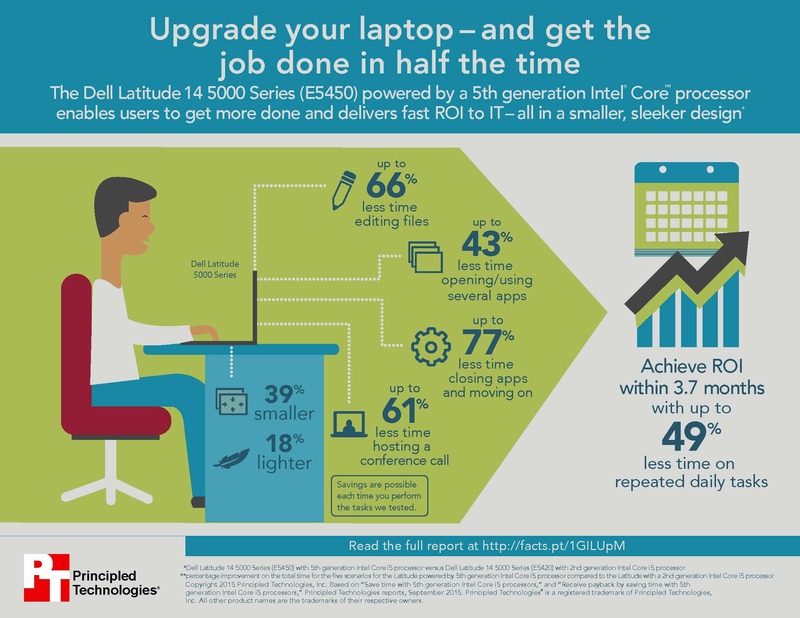 These hands-on tests show that you could get everyday tasks done faster and boost productivity when you upgrade to laptops powered by 5th gen Intel Core i5 processors. Plus, with this upgrade, PT projected that you could achieve ROI in less than four months. For the details of PT tests on these Intel powered Dell laptops, read the full report at facts.pt/1GILUpM and see the infographic at facts.pt/1jUgYym. 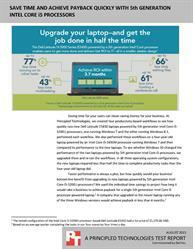 These time-saving Intel powered laptops can deliver ROI in <4 months. 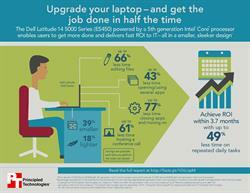 Save big on time when you upgrade to these laptops with new 5th-gen Intel Core i5 processors.